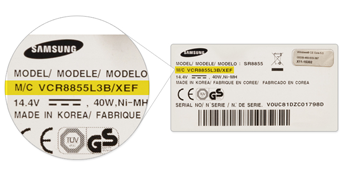 We are an Authorized Samsung Distributor and have all 300,000 Samsung parts in our range of various product groups. You can also rely on us for original parts if your vacuum cleaner loses suction power or if you have lost vacuum cleaner parts. You know what you need and you have the part number? Enter the part number in the grey bar in the field 'part number'. You do not know the part number? Enter the model code and find the right part for your appliance. Where can I find my Samsung vacuum cleaner's model code? Your vacuum cleaner's model code is always on a label on the bottom of the appliance. A model code is a combination of letters and numbers. Enter the model code in the grey bar above to find the right part for your model vacuum cleaner. If you cannot find the model code or if you need help selecting the right part, please contact our product experts at the Support Desk. They are happy to help you find the right vacuum cleaner part. Brush/nozzle: if your vacuum cleaners nozzle is broken or lost, easily order a new one here. We also recommend replacing the brush if the original one is clogged. 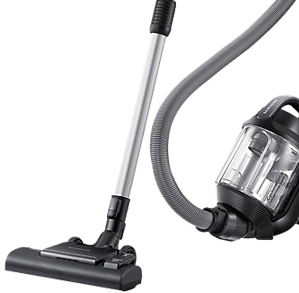 Vacuum cleaner tube: is your vacuum cleaner tube damaged? This reduces the suction power significantly. Prevent this by ordering a new tube at Samsungparts.eu. 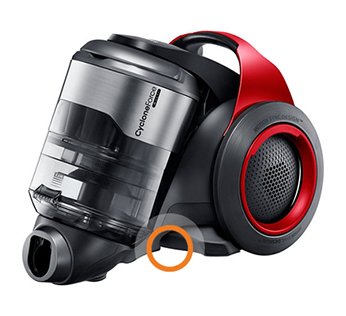 Suction tube: prevent reduced suction power of your vacuum cleaner by checking the suction tube regularly for blockages. Do you need a new suction tube? Original suction tubes can be found in our web shop. Would you like help with ordering parts?